Volume two of this award-winning series emerges from the shadows with a fresh crop of extreme horror. This collection of ten stories features authors from all over the globe for an international perspective on fear. Take care as you reach into these dark places, for the things here bite, and you may withdraw a hand short of a few fingers. Toll Road, by Antonio Simon, Jr.
—A professional kidnapper gets more than he bargained for when his latest abduction leads to terrifying supernatural encounters on the Florida Turnpike. —A group of strangers trapped in an elevator run short of time and bullets as they attempt to discover who among them is infected with a deadly plague. —In the depths of a harsh winter, a starving family unearths a massive turnip and unexpected horrors. —Thomas’s investigation into an idyllic English village uncovers the tragic story of two young lovers, and the ghastly secret the villagers thought they’d left buried in the past. —Charles Bonham knows better than anyone that grave-robbing is a lucrative business. While in Ireland to ply his trade, he learns that some secrets are better left buried. —Two field medics on the Western Front race against time to fulfill a soldier’s dying wish and stop an unspeakable horror. —A relic from John’s past holds a portentous future for his son and the secret to a fatal gypsy curse. —Ghosts have beset Whit ever since his kid brother drowned. Whit is determined to plumb the secrets of Quarry Lake, but at what cost? —Something dreadful lives within the walls of Dr. Crippen’s home. More dreadful still is what it has in common with him. Caution! Do not read this on a full stomach! Otherwise, you are very likely to lose it's contents (especially when you read "Toll Road"). And listening to these stories on Audible only enhances that queasy feeling. And if you're thinking about food, I doubt you'll ever eat turnips again after reading "We All Ate The White Flesh". Ugh! With less than a week to go before it is Halloween, I got the urge to listen to this audio, which was provided to me by Antonio Simon, Jr. a few months ago. Perfect time to listen to HORROR! This is a collection of ten short, but terrifying, stories that will make you afraid to close your eyes at night. So turn off the lights, light a few candles, pour yourself a big glass of merlot, and enjoy! I'm not normally a fan of anthologies, but these were quite entertaining! This one is not for the kiddies since there is some rough language in some of the stories. Besides... it will give them nightmares. But for the grownups... great Halloween-time reading (or listening on Audible). Disclosure: A complimentary copy of the Audible version was provided by Antonio Simon, Jr. and Darkwater Syndicate in exchange for an honest review. All thoughts, opinions and ratings are my own. 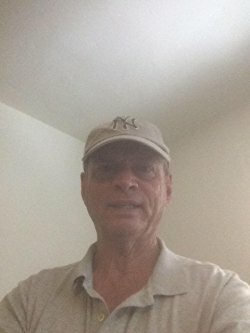 Bryan Cassiday has published twelve novels. His numerous short stories have appeared in anthologies, such as SHADOWS AND TEETH VOLUME TWO, which won the International Book Award for best horror fiction anthology 2017. It was also a finalist in the best anthology category. 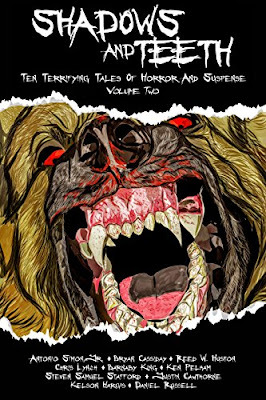 Other stories have appeared in HORROR SOCIETY STORIES VOLUME ONE and the French anthology TENEBRES 2015. He has been compared to writers as diverse as Robert Ludlum, Jorge Luis Borges, and Max Brooks. His ZOMBIE APOCALYPSE: THE CHAD HALVERSON SERIES includes ZOMBIE MAELSTROM (book 1), ZOMBIE NECROPOLIS (book 2), SANCTUARY IN STEEL (book 3), KILL RATIO (book 4), and POXLAND (book 5). ALIEN ASSAULT, COMES A CHOPPER, HELTER SKELTER, and BLOOD MOON: THRILLERS AND TALES OF TERROR are his collections of apocalyptic horror short stories. He wrote the CIA spy thrillers THE ANACONDA COMPLEX, THE KILL OPTION, and FETE OF DEATH. 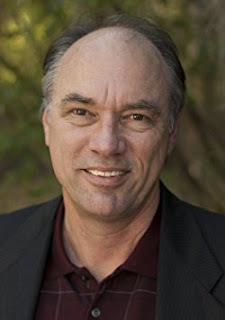 His crime thrillers include his Ethan Carr private detective novels COUNTDOWN TO DEATH, DYING TO BREATHE, and WIPEOUT. 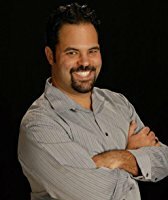 Bryan Cassiday graduated from UCLA with a BA degree in English and did post-graduate studies at the USC Graduate School of Cinema--Film Production. He lives in Southern California near the beach. Reed Huston is a mild mannered engineer who loves to read and write in his lounging time. His favorite authors include Stephen King, Michael Crichton and Clive Cussler. No genre of book is too otherworldly for him, though he does prefer horror and adventures. Reed has written many short stories, though only a few appear on this site. His preferences are thrillers and horror. Reed also hopes to someday finish writing that epic historical fantasy novel set in Egypt followed by that space opera that's been floating around in his head waiting to be put to paper. 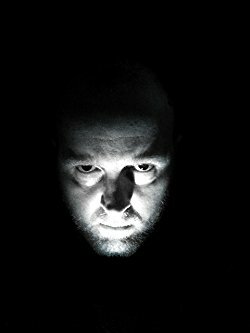 Chris Lynch is a writer, technologist, and hypnotist from Cardiff, UK. He has written novels, comics, graphic novels, and screenplays for independent publishers and producerfs both in the UK and the USA. Barnaby King fell in love with literature at an early age. J.R.R. Tolkien’s works, The Hobbit and The Lord of the Rings, laid a foundation for an appreciation of fantasy, science fiction, and horror. He attended Steyning Grammar School, found employment throughout the UK, and is now reading Psychology at the University of Surrey. All throughout he has had a passion for writing, creating short stories and working on potential novels. His favourite authors include the late Terry Pratchett and Iain M. Banks, as well as Richard Adams and Neil Gaiman, whose work, American Gods, first inspired an interest in Norse history and mythology. Since then Barnaby has become an amateur historian around the Viking age and is currently working on a young adult historical fiction piece set in that time period. His interest in horror has been moulded by the classic works of Edgar Allan Poe, H.P. Lovecraft, and in particular M.R. James. When it comes to horror movies he considers himself something of a snob and prefers the subtle building of dread to jump scares. Besides writing, Viking history, and psychology, Barnaby also has a love of animals, enjoys archery, and is a classically trained singer. His main dream, however, is to foster his talents as an author and continue to improve his skill in writing for future works. Ken Pelham's debut novel, BRIGANDS KEY, a first-place winner of the Florida Writers Association's Royal Palm Literary Award, was published in 2012 by Gale Cengage-Five Star. The Kindle edition became available on July 18, 2013. His new novel, PLACE OF FEAR, won the first place Royal Palm in 2012. He's also published numerous short stories and non-fiction articles, and is a member of the International Thriller Writers, Florida Writers Association, and Maitland Writers Group. Justin Cawthorne is an author of tales that explore new ways to draw terror from both the known and unknown. In partnership with the "Tales To Terrify" podcast, Justin Cawthorne was a recipient of the 2016 Parsec Award for Best Speculative Fiction Story: Small Cast (Short Form), awarded for the adaptation of his short story "Graves". He has a short story, "Colder Still" appearing in the anthology Shadows & Teeth Volume 2, published by Darkwater Syndicate. The novella, "There Is A Light That Never Goes Out", is his first work to be published on Amazon. Kelson Hargis is an author, analyst, and professional technical writer for a Fortune 100© insurer. He has a B.S.|B.A. in Organizational Innovation which he’s found to be completely useless. He’s also an internet entrepreneur and partner at 1106 & Darkhouse Films where he’s still forbidden from touching any equipment. Their 2016 Cincinnati 48 Hour Film Project entry Abaddon was critically acclaimed by close friends, relatives, and anyone remotely familiar with the disturbing nature of Kelson’s horror fiction. He’s occasionally permitted to relieve himself, eat, or sleep when he meets scripting word counts, casting, sourcing, and project management objectives. 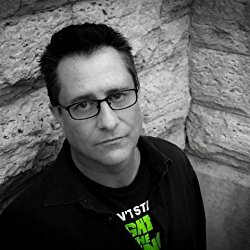 Daniel I. Russell has been featured publications such as The Zombie Feed, Pseudopod and Andromeda Spaceways Inflight Magazine. Author of Samhane, Come Into Darkness, Critique, Mother's Boys, The Collector, Retard, Tricks, Mischief and Mayhem, and his latest novel, Entertaining Demons. Daniel lives in Western Australia with his partner and four children, and is currently completing a BA in psychology and counselling.